A pool that you can use all year long and expand your business season is possible with LIBART. You do not need two pools anymore; one built indoors and one built outdoors. Having two pools was costly considering building costs and maintained costs. 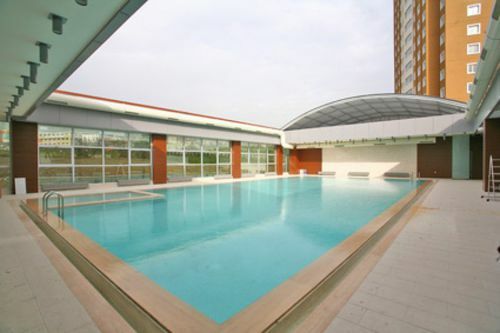 With LIBART retractable enclosures you also save the landscape area with using just one pool. When the weather is sunny you simply press a button and the top of the pool retracts to let sunlight in, with a clear blue sky. With LIBART retractable Clear Sky Skylight solutions you have nothing left between you and the sky, after the system opens. When the weather is rainy or windy you simply press the button and the roof retracts to cover the roof of the pool providing shelter but maintaining "indoor comfort outdoor freedom".